Shane Rimmer announced as first guest at Supercelebration! Fanderson is thrilled to reveal the first guests to confirm their attendance at Supercelebration. Fittingly, the pilot of Thunderbird 1, Shane Rimmer, and his wife Sheila are the first to confirm they will be attending Fanderson’s full weekend convention. The couple have been great supporters of Fanderson conventions over the years, and have given fans many happy memories, including interview panels alongside fellow Supermarionation stalwarts such as David Graham and Matt Zimmerman. Taking place from 20th to 22nd September 2019 at the Holiday Inn, Maidenhead, Supercelebration will feature guest appearances; rare screenings; displays of models, puppets, costumes and artwork; as well as games, merchandise and workshops. Back by popular demand, there will also be a Saturday night disco, so you can strut your stuff while dressed as a your favourite Anderson character! 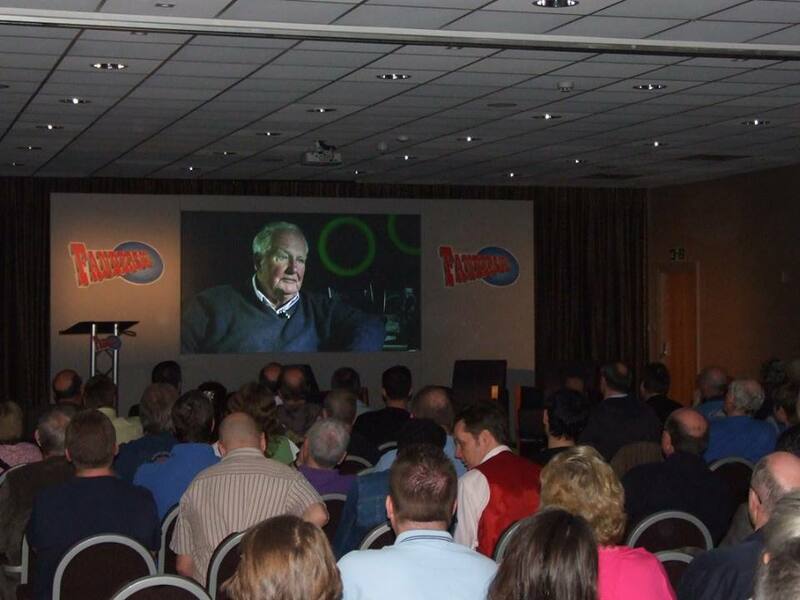 This entry was posted in Events and tagged Shane Rimmer, Supercelebration by admin. Bookmark the permalink.